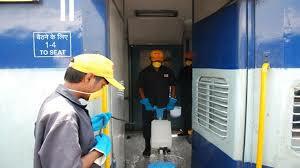 The service codes are as follows: 'C' for Cleaning, 'W' for Watering, 'P' for Disinfection/Pest Control, 'B' for Linen/Bedroll, 'E' for Train Lighting/AC, and 'R' for Petty Repairs. 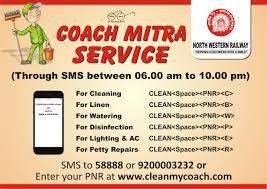 Apart from the SMS mode, you can also register your complaint via the Coach Mitra website. On the website, enter your PNR number, mobile number, service type, and click on 'Send Request' button. Or you can also install the Coach Mitra Android app.